NOLADriver.com Personal Chauffeur - Let NOLADriver drive you to your event. NOLADriver.com caters to the high profile client who wants to remain low profile. Ride in the comfort of your own vehicle. All of the drivers have a bachelor's degree or are working toward a degree; some drivers are working toward a masters. Most drivers are federal law enforcement officers who were honorably discharged from U. S. Military. Who do you want driving you in your car? 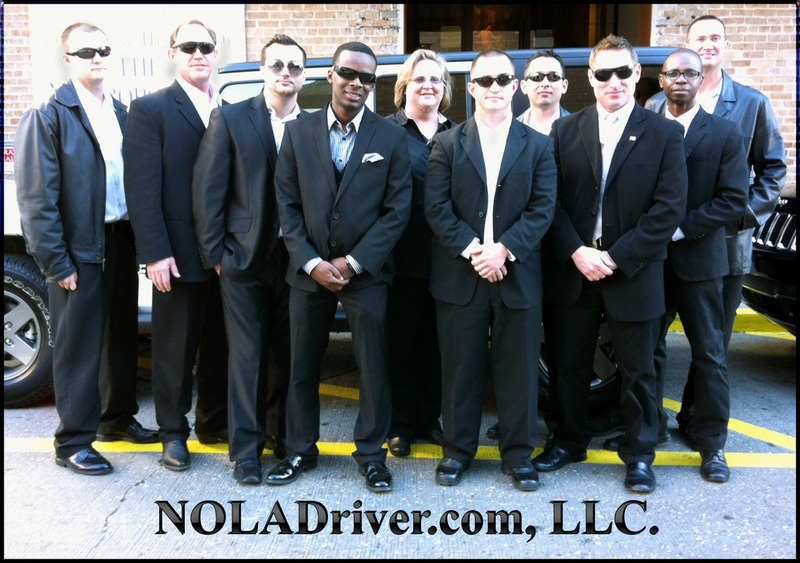 NOLADriver hires drivers with personal qualities above and beyond what other companies offer. Rates Begin at $35/hour with a three hour minimum. (Plus cost of a rental and gas if renting a vehicle.) Limousine & cab companies charge a fee for additional passengers, not NOLADriver. You may also contact Enterprise Car Rental; we prefer to drive your rental. For your peace of mind, Let us be your designated driver. Either choice, you will be assured that you are always insured. Your Car is your comfort zone. It is clean, comfortable, familiar, convenient, reliable, and most important, insured. When using your car, we drive under your insurance to guarantee that you are always fully protected. If NOLADriver rents a car, NOLADriver will take out the additional car rental insurance.